Brilliant price and product delivered well packaged and expediently. Very pleased with the service, we were in Portugal and in a pickle as our Motorhome leisure batteries died on us. Good battery at a very competitive price. Once again the delivery service excelled: being delivered in only 2 days to my holiday home in rural France. 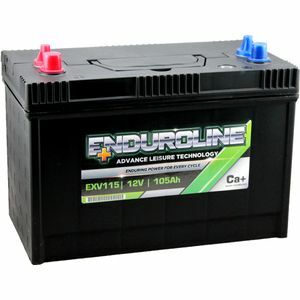 Its good to have such a supplier for when you most need a new battery. Not much to say - it's a good battery, it got delivered when they said, and it works. Battery delivered as promised and fully charged. Fitted to our caravan and giving excellent service so far. Arrived in good time and well packaged. Easy to remove the plugs on arrival and easy to fit.